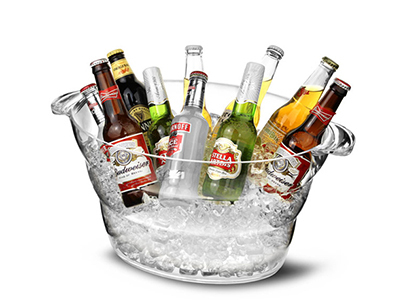 Acrylic Large Wine Cooler Ice Bucket Beer tub -Beverage Tub/Beer Bucket perfect for drinks,beer,wine to keep cool. 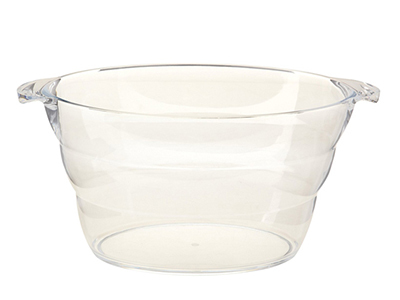 Acrylic Large Wine Cooler Ice Bucket/Beverage Tub/Beer Bucket,Great for beer, soft drinks. Perfect for entertaining.Our Best Barware collection is Adorable with Different style and capacity Ice bucket, Wine cooler and Beer Bucket, Party Tubs to better serve your party and home. 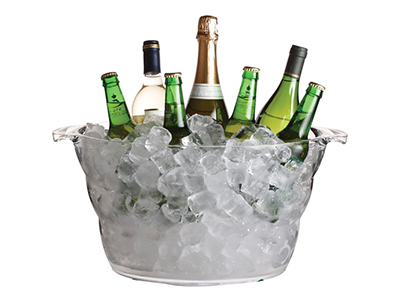 Wine Cooler Ice Bucket Beer tub gives you maximum capacity in size and still easy to use. Perfect for the pool, bar, special event or function, these large and lightweight tubs can be easily branded for special corporate promotions, private affairs or any occasion where you want to get the message out. Made from durable and crystal clear acrylic compounds for durability and strength, this tub will last a long, long time. 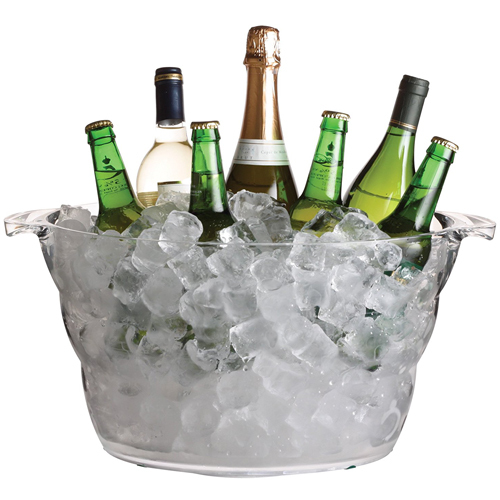 Ice Bucket Beer tub is great for wine, champagne or other beverages. Perfect for entertaining,parties and events. Made from durable and crystal clear acrylic compounds for durability and strength, this tub will last a long, long time. Your guests will be impresses by the beauty of this wine server, whether it be a formal indoor setting or a casual outdoor setting. 2.How many bottles of beer does it hold? This Ice Bucket Beer tub will hold 10 bottles. CAUTION:Be careful when you place cold ice in the Ice Bucket. Nice party tub for the price it stood well, looked elegant matched everything on my decoration I have no complains.love it. We used this at our daughter's wedding for an ice bucket. It is perfect and served us well at the reception. Strong and sturdy. This ice tub is just perfect. Large enough to use for clean ice and a couple bottles of wine or just as a wine chiller. Inexpensive and very sturdy. The perfect party tub!!! !